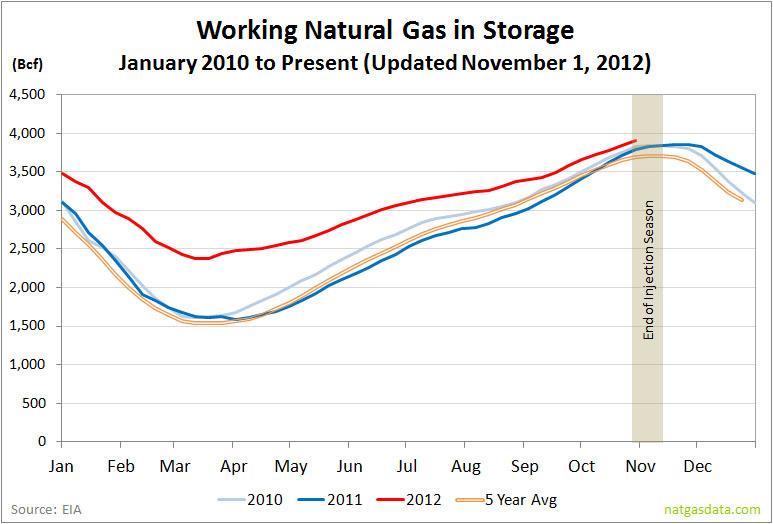 The EIA storage report showed a 65 Bcf increase, bringing the total working gas in storage to 3.908 Tcf. The weekly injection was 21% below last year (+82 Bcf) but 14% above the five year average (+57 Bcf). 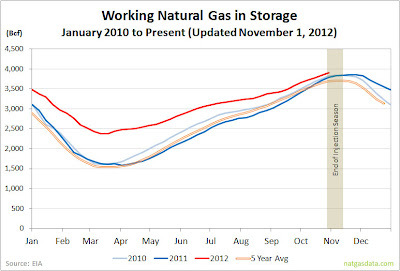 The current storage level is 3.6% above last year and 7.1% above the five year average. Temperatures last week averaged 58.7 degrees, which was 3.9 degrees warmer than last year and 4.4 degrees warmer than the 30 year average.